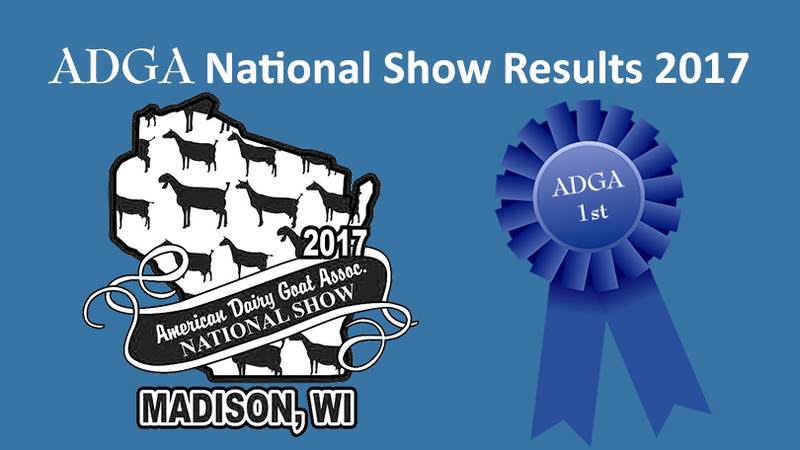 The 2017 American Dairy Goat Association National Show was held July 8-14, 2017 at the Alliant Energy Center in Madison, Wisconsin. During the show, 2,026 dairy goats were judged. Congratulations to all who participated! You will find show results by breed and other pertinent information related to the show below. Download the 2017 ADGA National Show Booklet produced by the Dairy Goat Journal in PDF format. The 2017 Colorama Sale was held on Friday, July 14 at 4:00 pm CDT following the Wine & Cheese event. The 2017 Silent Auction was held on Thursday, July 13. Congratulations winners! All official ADGA National Show 2017 dairy goat champion photos posted on ADGA.org and ADGA’s Facebook page are taken by Steve Pope unless otherwise noted and are copyrighted. They may not be copied and shared other than by sharing ADGA’s social media posts using the “Share” feature or by sharing the ADGA.org page URL where they are located. Land O’Lakes Aminal Milk Products Co.